Windows XP (either Professional or Home Edition) allows you to establish a wireless network connection to Wi-Fi network routers and access points automatically. This feature helps you to make wireless Internet / Wi-Fi network connections more easily with laptop computers and is highly recommended for those who roam between multiple locations. Does My Computer Support Automatic Wireless Network Configuration? From the Start Menu, open Windows Control Panel. Inside Control Panel, click the "Network Connections" option if it exists, otherwise first click "Network and Internet Connections" and then click "Network Connections." Finally, right-click "Wireless Network Connection" and choose "Properties." In the Wireless Network Connection properties window, do you see a "Wireless Networks" tab? If not, your Wi-Fi network adapter lacks so-called Windows Zero Configuration (WZC) support, and the built-in Windows XP automatic wireless configuration feature will remain unavailable to you. Replace your wireless network adapter if necessary to enable this feature. "Windows cannot configure this wireless connection. If you have enabled another program to configure this wireless connection, use that software… ." This message appears when your wireless network adapter was installed with a software configuration utility separate from Windows XP. The Windows XP automatic configuration feature cannot be used in this situation unless the adapter's own configuration utility is disabled, which is generally not advisable. To enable automatic configuration, ensure the "Use Windows to configure my wireless network settings" checkbox is checked on the Wireless Networks tab of the Wireless Network Connection properties window. Automatic wireless Internet / Wi-Fi network configuration will be disabled if this checkbox is unchecked. You must be logged on with Windows XP administrative privileges to enable/disable this feature. The Wireless Networks tab allows you to access the set of "Available" networks. Available networks represent those active networks currently detected by Windows XP. Some Wi-Fi networks may be active and in range but not appear under Available networks. This occurs when a wireless router or access point has SSID broadcast disabled. Whenever your network adapter detects newly available Wi-Fi networks, you will see an alert in the lower-right corner of the screen allowing you to take action if necessary. In the Wireless Networks tab, you can build a set of so-called "Preferred" networks when an automatic wireless configuration is active. This list represents a set of known Wi-Fi routers or access points you wish to automatically connect to in future. You can "Add" new networks to this list by specifying the network name (SSID) and appropriate security settings of each. The order Preferred networks are listed here determines the order that Windows XP will automatically attempt when seeking to make a wireless / Internet connection. You can set this order to your preference, with the limitation that all infrastructure mode networks must appear ahead of all ad hoc mode networks in the Preferred list. 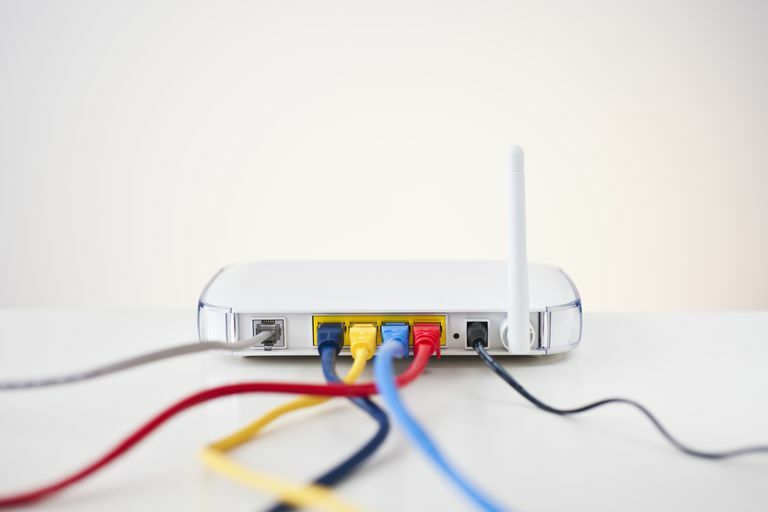 How Does Automatic Wireless Network Configuration Work? In Windows XP with Service Pack 2 (SP2), each network (even Preferred networks) can be configured individually to bypass automatic configuration. To enable or disable automatic configuration on a per-network basis, respectively check or uncheck the "Connect when this network is within range" checkbox within that network's Connection properties. Windows XP periodically checks for new available networks. If it finds a new network listed higher in the Preferred set that is enabled for auto-configuration, Windows XP will automatically disconnect you from the lesser-preferred network and re-connect you to the more preferred one. By default, Windows XP enables its automatic wireless configuration support. Many people mistakenly assume this means your laptop will automatically to any wireless network it finds. That is untrue. By default, Windows XP only auto-connects to Preferred networks. The Advanced button on the Wireless Networks tab of Wireless Network Connection properties controls the default behavior of Windows XP automatic connections. One option on the Advanced window, "Automatically connect to non-preferred networks," allows Windows XP to auto-connect to any network on the Available list, not just Preferred ones. This option is disabled by default. Other options under Advanced settings control whether auto-connect applies to infrastructure mode, ad-hoc mode, or both types of networks. This option can be changed independently from the option to connect to non-Preferred networks. Is Automatic Wireless Network Configuration Safe to Use? Yes! The Windows XP wireless network configuration system limits automatic connections by default to Preferred networks. Windows XP will not automatically connect to non-Preferred networks such as public hotspots, for example, unless you specifically configure it to do so. You can also enable/disable auto-connection support for individual Preferred networks as described earlier. In summary, the automatic wireless Internet/network connection feature of Windows XP allows you to roam between Wi-Fi networks at home, school, work or public places with a minimum of hassle and worry. Do You Know How to Disable the Internet Connection Firewall?